So, I have quite a few books on writing, one or two of which I've even read all the way through. Yesterday, I finally finished 'Bird By Bird' by Anne Lamott and found it very funny, helpful and not at all patronising which, I've heard, some writing books are. I love the way she writes - she's amusing, brutally honest and explains her writing 'tips' with personal anecdotes. I think this method of teaching helps you understand the 'why' of a piece of advice and how it works towards making you a better writer. I'm looking forward to reading more of her work given the humour and style of this book. Don't give up. Mr King received many, many, many rejections but persevered. I'm not saying that you'll become as famous and prolific as he is but don't quit at the first hurdle. Three rejections does not mean you can't write for crap. It just means those agents didn't like it or it's not quite polished again. Keep going - write something else, rewrite whatever you sent out, get it professionally critiqued if you have the money. I know I've said this before but, if you are in the UK and write romance of any kind, the RNA New Writers' Scheme is fantastic - very thorough and encouraging and not expensive. Write every day. All writers say this so it must be important! Even just fifteen minutes a day to get your writing 'muscle' working is okay. That's not all he has to say though so if you're looking for inspiration and motivation, this is the book to get hold of. 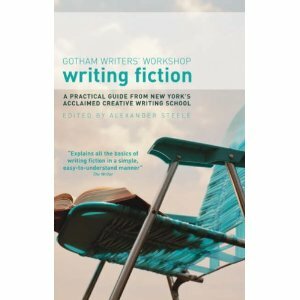 Next on the list is going to be 'Gotham Writers' Workshop: Writing Fiction' which, as the name cunningly suggests, is more like a creative writing class to be taken in your own time. I did start it once upon a time but life took over (baby and emigrating!) so it's back to the beginning I go. Oh wait, those last two aren't anything to do with the craft of writing but they are delicious and hilarious respectively. 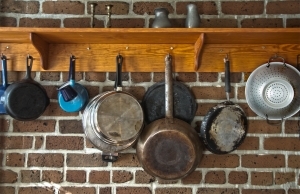 Give them a read, if only to find a new recipe for weekend baking and be warned off having kids have a bloody good laugh (and maybe get another new recipe for the weekend too - bonus). I also follow quite a few authors because I like their books and they write in the same genre as me. Authors are often spectacularly generous with advice and tips. They will also direct you to other blogs and websites which might be useful in your quest to finish your novel, get an agent or, if you decide to go this route, self publish. What websites and Twitter accounts do you read or follow that you think are helpful to writers of all levels? Are there any writing books that you recommend to fellow aspiring writers? Or ones that you found completely useless? Of course, it could be said that all this faffing about on the Internet and Twitter valuable time spent researching could be detrimental to the first rule of writing - Write!